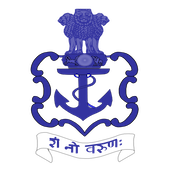 Online Application Details for Indian Navy Recruitment of Sailor and Senior Secondary Recruits (SSR) is given below. Application form and duly attested documents are to be sent to Report at 6:30 am at Paljor Stadium Gangtok Sikkim-737101. In envelope super scribed with 'Application for the Post of Post Name'.